We ship all orders via Royal Mail. Order's received by 9pm are generally posted next working day. If you choose our free shipping option, you should expect to receive your vapemail within 3 days generally. If you choose 1st class for just £1, you should expect to receive your vapemail within 2 days generally. I don't have Paypal, can I still order? Yes of course, you can use your debit or credit card by clicking on the "guest checkout" option. If you are still experiencing problems, we can also accept bank transfer. Drop us an email with your order/ a screenshot of your order along with your address and we will be happy to give you the bank details for payment. We do indeed, we can most likely offer you the best wholesale prices in the UK! Just drop us an email along with your business information (shop name, address etc) and we will be happy to send you our wholesale price list. 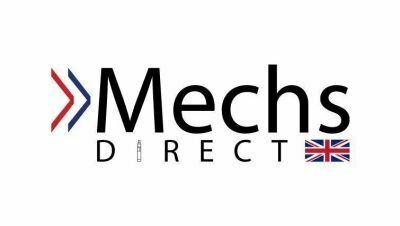 Why would I choose Mechs Direct over competitors? The answer is simple... We offer the best quality products, the cheapest prices in the UK and the best customer service. On top of this, we offer FREE shipping on ALL UK orders and are always happy to answer all of your questions and offer any help or support you may require. For hygiene reasons, we cannot accept returns on any of our products unfortunately (with the exception of faulty goods). Our goal is to give our much valued customer the best quality products at the best price possible. How can I speak to someone on the phone? If you use our contact form or email, feel free to leave your phone number and request a callback and we will give you a call as soon as we can.